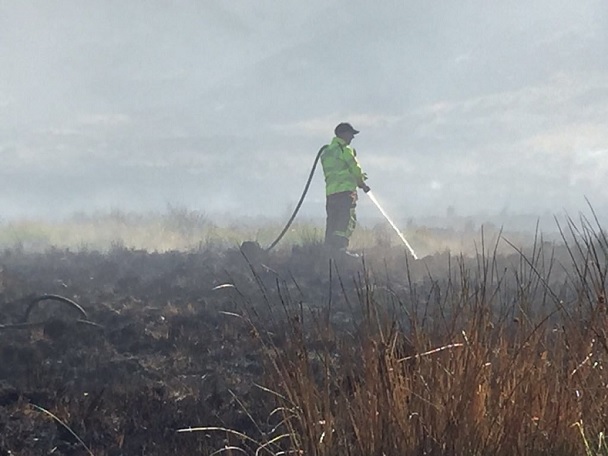 Lancashire FRS say 12 fire engines were at the scene of the Winter Hill fire overnight with full operations resuming at around 4am. That increased to 20 fire crews and they will be continuing to tackle remaining hot spot and smouldering areas throughout the day. Lancashire RFS remind the public that Winter Hill road closures are in place for safety reasons and to help their crews do their job. Please help by strictly observing road closures, whether you’re a driver, cyclist or on foot.